Midnight were contracted to provide a full media prewire in each apartment, lighting control for all apartments as well as the communal areas, and fit out of communal security, communications and access control systems of 15 luxury apartments in Belgravia. Midnight's work led to a three page feature in one of the industry's top magazines – please click here to see the full article. 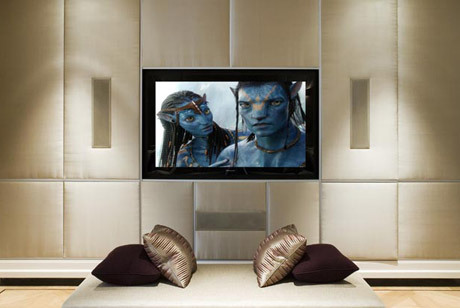 Many of the purchasers continued by contracting us to fully fit out their apartments with advanced touch screen control, lighting and electronic blind control, home cinema/multi-room audio visual systems, advanced bespoke security systems & business class networking and communications. Each apartment is linked and monitored by the concierge, so the security conscious clients can feel at ease. Advanced, custom designed technology was used including biometric readers and remote access for complete peace of mind.